Education in abroad is expensive. Even native people of the other country consider it expensive. So to be sure that student can afford their education while studying in abroad every university is bound to ask for a financial proof certifying that you are eligible to study in abroad. The currency difference makes the education in abroad more expensive than in your country. So this article will focus on clearly queries relating to Bank Statement. The question is how much amount universities ask as a proof of sufficient financial resources. Commonly every abroad university is interested in knowing whether you are able to spend your full one year expense in the country without any scholarship or part time job. The length of your course does not make a difference here. Even if you are there to stay for 2, 3, 4 years; you are required to show you can afford expense of one year. The one year expense is all including your tuition fees, semester contribution, housing, cost of books and stationary and miscellaneous. Different countries ask to show different amount in your bank. Like for Germany you are required to show 8040 Euros while for U.S. you are required to show as much as $21,000. To start with, many people have their money in different banks. So it’s necessary to accumulate your entire asset in one bank and make the statement. Distributed wealth will just create chaos and will not work for your process. 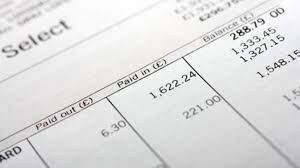 As long as you get number of bank statement required for the process you can keep the amount in the bank. The universities do not verify your bank statements but we need to be sure our bank statements are valid. The bank statements should not be a forged. Though universities do not verify but Visa personnel do and they know the difference between fake and real. They can immediately figure out what is wrong and this may cost you rejection of your Visa application. Some people may not have this amount of money so there are three ways to the rescue of this. First, you can borrow from your relative and show it on your bank statement. Secondly, some consultancy now-a-days lends you money on particular interest and deposits it in your bank account till the time you need it, and then withdraw it. Third, you can apply for bank’s education loan or scholarship from different organization. It is advisable to have your money in cash. You can have 50% of your money as saving and 50% in fixed deposit. This will make you have 100% money in two different cash form. You should get the certificate from your bank manager on a letter head of the bank specifying that you are eligible to afford education in abroad. The Statement of bank should specify your sponsor name, your relation to him, current balance in local currency, conversion of it into foreign currency and the conversion rate. The universities do not accept photo copy or attested photo copy of your bank statement. It should be original, on the letter head of bank, and sealed by the manager of the bank. The university will not accept your bank statement failing any of the condition. Some universities ask you to submit your bank statement before admission while some ask you after get admitted so be sure about the time of requirement. If you fail to submit your bank statement, notify your university that you will submit it soon. For Statement of bank location of the does not matter; rural or urban. They are just required to ensure you have enough financial support for your education.